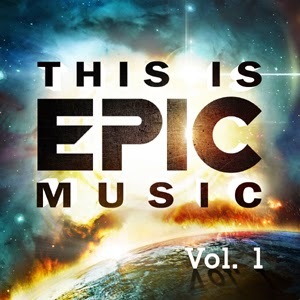 Imperativa Records, the leading independent label specializing in the 'Epic Music' genre, presents "THIS IS EPIC MUSIC: VOLUME 1", the first ever compilation album to feature top tracks from a variety of leading artists producing music in this increasingly popular, rapidly growing genre. "THIS IS EPIC MUSIC: VOLUME 1" will be available for streaming, digital download and CD on December 2, 2014. The world of modern Epic Music has its origins in the soundtracks of blockbuster movie trailers. Featuring big, emotional, powerfully melodic productions, many of which mix orchestra, choir, large percussion and synth elements, this genre of music enjoys a huge and loyal following on YouTube. Dedicated Epic Music channels have millions of subscribers and streams per day. To date, the best of this music has never before been compiled in a single commercially available release. "THIS IS EPIC MUSIC: VOLUME 1" features the cream of the crop of Epic Music artists including X-Ray Dog Music, Immediate, Really Slow Motion, Jo Blankenburg, Aleksandar Dimitrijevic as well as other trailblazing artists in the genre. Tracks on this compilation have been featured in multiple blockbuster trailers for major Hollywood motion pictures, such as THE HOBBIT: THE DESOLATION OF SMAUG, THE AMAZING SPIDER-MAN, IRON MAN 3, MALEFICENT, LUCY, CAPTAIN AMERICA: WINTER SOLDIER, 300: RISE OF AN EMPIRE, ARGO, HOW TO TRAIN YOUR DRAGON and many more. Imperativa Records owner Yoav Goren, himself a pioneering, Emmy®award-winning composer in this genre, has personally curated the album, presenting these emotionally powerful and important works by the most innovative artists in the field. "These epic, cinematic masterpieces are created by some of the most passionate composers working in this extremely exciting genre of Epic Music," enthuses Goren. "I dare anyone listening to this compilation to not be in awe at the majesty, beauty and emotional power of these musical gems." "THIS IS EPIC MUSIC: VOLUME 1" will be released for streaming, digital download and CD on December 2 by Imperativa Records and distributed at North American retail through Entertainment One. For more information visit the Imperativa Records website at www.imperativarecords.com. Heck Yes, sign me up for this one!